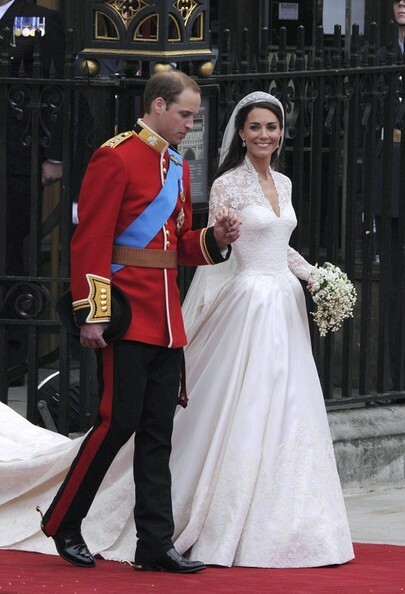 Kate Middleton wed Prince William in a grand ceremony at London's Westminster Abbey on April 29, 2011. For her real-life fairytale, the blushing bride wore an elegant custom-made Alexander McQueen gown designed by Sarah Burton. 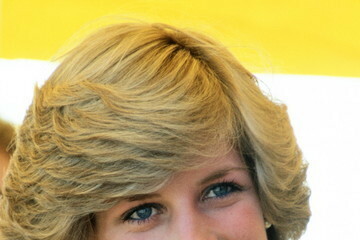 The dress featured lace sleeves, elaborate embroidery, and a 9-foot train. 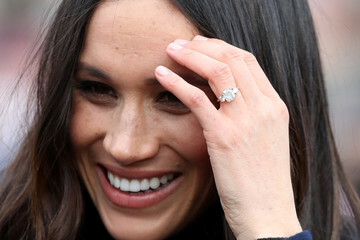 To complete the breathtaking look, the Duchess of Cambridge borrowed Queen Elizabeth II's Cartier Halo tiara, which held nearly 1,000 diamonds.